but now the sea is silent like His grave. the crucified Christ who suffered and bled. Now their boats sit idly by with empty nets drawn in and dry. the Messiah, Savior Lord, whom they followed to His death. and how to believe for miracles received. Did He not promise he’d return one day? and that in His place would the Comforter come too? on the Sea of the Galilean shore. and squirrels too, at play. to just be here, and be free. In true Tanka form I welcome a new season, a new spring. The cold winter months might be gone for a season, but often there is another one or two big snowstorms that hit before really warm temperatures announce it summer. It has been a long, dry season in my writing too, not because I did not want to post or write, but other things and obligations took precedence over that. During that period it was a time of self-reflection and I needed to prioritize what was most important at the time. It was a time of growth too, both spiritually and in learning how to become more self-sufficient as I am now single again. I am so grateful and thankful for the way God has revealed His plan and purpose in my life and shown me how much more I need to trust Him. stretching upwards into bright skies. and busy little squirrels scurrying around. a bank, a post office, grocery and gas pump. Are all beginning to feel more like home. 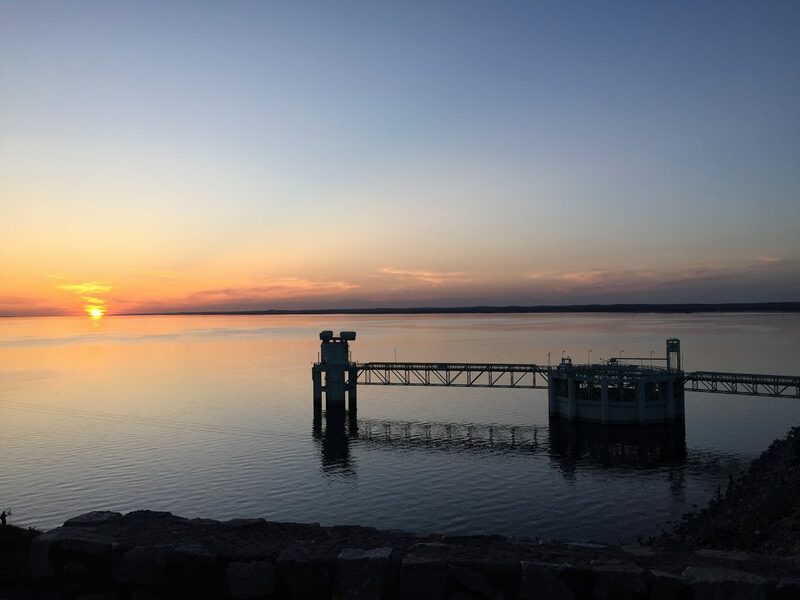 Sunset over Lake McConaughy, Ogallala, Ne. and the wind that sends ripples across the lake. and my life and future secure in His hands. I took this photo from a trailhead in Loveland, looking west towards the Rocky Mountains while hiking on what is called, The Devil’s Backbone. A view of the white water rapids of the Cache La Poudre River northwest of Fort Collins after a heavy rain storm. Our city is one of several along the front range of the Rockies where roads and highways leading up to Rocky Mountain National Park are most often congested with the traffic of tourists going up in the winter months to ski at popular ski resorts, or in the summer to hike the trails, ride the white water rapids or just to enjoy the changing colors of autumn. After the summer months the bright golden hues of the Aspen trees cover much of the Rocky Mountain slopes before the first frosts. Estes Park, a town at the foot of RMNP is a popular tourist destination throughout the year. We have an abundance of hiking trails and mountain and water sports to choose from living along the front range with an often unpredictable swing in temperatures and climate. turn to mist that hovers still. tender shoots unfolding upon the dew? promise spring is soon to come. Longs Peak, RMNP, 14, 259 foot elevation, second tallest peak in Colorado. A view of RMNP peaks off Trail Ridge road. Lower elevation at the foot of RMNP, a clearing where herds of elk are usually seen grazing. Towards this time of night at sunset hours they will hunker down for the night. The sun was just beginning to go down, and the skies lit up with soft hues of pink and orange. These clouds seemed to descend down upon this peak, and I thought it was an awesome sight to photograph. Elkhorn Ave. and The ‘Old Church Shops’ in Estes Park lit up for Christmas. A view of the southeast side of Estes Park. Notice the large star lit up on the side of the mountain. Sometimes the Christmas season gets hectic with the business of shopping, decorating, program events, parties, and family gatherings. There are times when things came too soon and hurried right after the Thanksgiving Day holiday and often just having a moment to sit and relax with a cup of hot chocolate and a favorite Christmas movie seems like a luxury I don’t have or take time for and regret it later. But, through the years we have tried to keep a few favorite Christmas traditions and even started new ones as we tried to prioritize what meant the most to us. Things like going up to the mountains to cut and collect our own greenery and pine cone branches to make our own wreath was a favorite event. Browsing through Christmas shops and antique stores to find a new Christmas ornament or antique toy to place under our Christmas tree was another. But, our favorite thing is to just drive up to the mountains during the holidays and spend the day exploring the territory. This year we went up to Estes Park that sits at the foot of Rocky Mountain National Park, then drove up part way to Trail Ridge road. After the first snow storms of the season they close the first gate to the higher elevation areas when snow cannot be cleared and it becomes too dangerous to pass or drive through safely. I took these shots above this last Friday (12-15) when we went up with our dog, Maggie, had a bison burger and fries at a favorite place and walked around town in Estes Park on our way down before returning home. Making a day of it makes it a special memorable outing. Colorado has not seen too much snow this season thus far, so it is pretty dry along the front range except for brief snowfalls in the higher elevation. Snow skiing is a very big sport industry here in Colorado so the ski slopes are waiting anxiously for some really good snows that keep them busy into spring. But, for those of us who are happy to find just enough to tramp through the white covered ground in brisk temperatures, and see Christmas lights glimmer off its white sheen it is enough to make our day. I hope your Christmas will be merry and bright, memorable and special. Merry Christmas to all.